I am the editor-in-chief and one of the owners of Mystery and Horror, LLC. Our press prints stories in these genres (surprise! ), with a definite tilt towards the weird. Our longest-running series, and my favorite, is Strangely Funny. I'm also an author. Most of my tales are short stories, simply because I'm impatient, but I have a couple of novels. The first, All This and Family, Too, is a vampire satire published by the late, lamented Pill Hill Press. It may find its way into print again, since I've been futzing around with a follow-up. 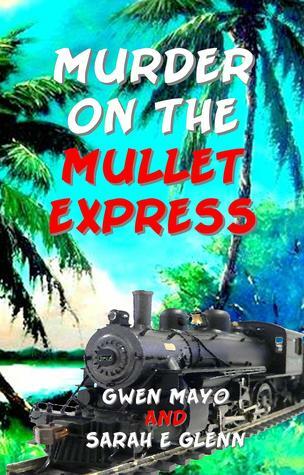 My new novel, Murder on the Mullet Express, was co-written by Gwen Mayo and will come out in January. I'm a working stiff. Like most authors, I have a day job. Don't tell me not to quit it; economics has already informed me of that. One day, I hope to retire and write full-time. That, and feel less guilty about playing useless games and solving crosswords. I stand on my brain all day and need breaks. I'm pleased you came by!